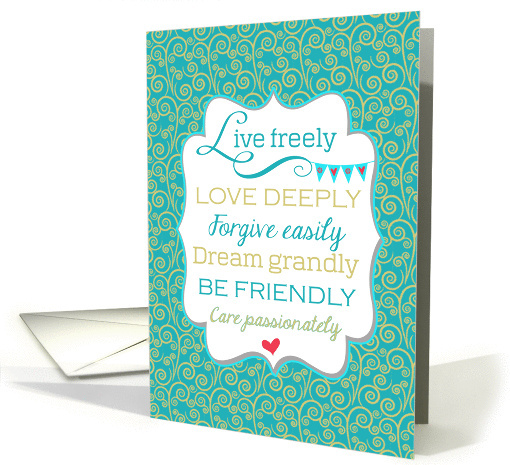 Typography is a growing trend in greeting card design. The text on any card is important – from choosing the right words to deciding on the details like font and placement – however, typography cards rely on the text as the main design element and focal point. 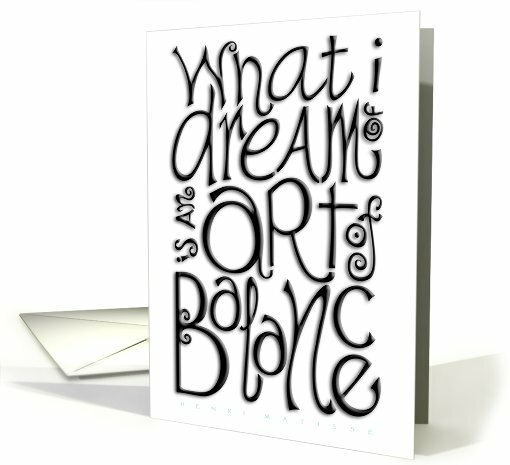 Go and have a look at the greeting cards by major card retailers and you’ll see the typography style is increasingly popular. As you see, typography can be done in various styles. The main thing is that the design be visually appealing, which means you’ll need to know what you’re doing. Fortunately, we’ve got you covered in this Typography Tips article. Invest in a few really good fonts, particularly script fonts. Free fonts are okay, but the really great ones will require a financial investment. I consider professional fonts well worth the money I’ve spent. If you see a font you really like but can’t afford, look for a font that’s similar that fits your budget. I like MyFonts, but there are many other reputable font retailers out there. Learn how, when and why to use swashes – those curly, swirly, elegant flourishes you find on many script and display fonts (and a few swash-only fonts like Nymphette). A well placed swash or two can really punch up your typograph. Doing it wrong ruins your design. Learn more about How to Use Swashes because yes, there are rules, and yes, you need to understand and follow the rules unless you want to look like an amateur. Successfully combining trends like retro/vintage, blackboard/chalkboard and typography will give you an end result that appeals to different shoppers. Don’t just put a few words on a card and expect a sales explosion. Typography is as much about what you say as how you say it. The simplest typography would be your message in a frame (see example 1 above). It’s a great message for the occasion. 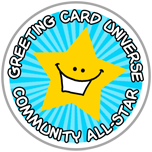 But you’ll notice how different fonts, different colors and a few small design elements make the card special. Use scrolls, labels, ribbons, frames and ornaments to augment your design. KG Flavor and Frames Five has some very nice frames and ribbons. $5 donation required for commercial use. Hustle Supply Co. offers lots of vector graphics and vector sets for frames and ribbons and other design elements. They aren’t free, but the prices are affordable if you’re looking to invest. Free Vector Pack – 85 free for commercial use vectors with a retro/vintage look including frames and ornaments. Attribution required. Corners and Dividers – A free for commercial use font you can play with. Free PS Brushes, Clip Art & Vectors – A nice collection of freebies, many are okay for commercial use with attribution. Be sure to check; you’ll find the licensing information on the download page. The Freebies of the Week posts are a compilation of different offerings from around the Internet. Don’t assume it’s free for CU unless it’s stated explicitly in the licensing/TOU. And finally, I leave you with some inspiration to get your creative juices flowing. Have fun! Thanks for the great tips. 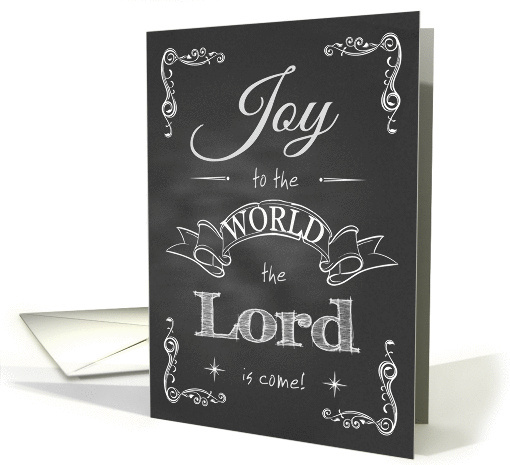 Wondering about the use of well known verses on cards that are copyrighted. What’s allowed, and what isn’t? Typography cards are so much fun to do – and can be so very varied! Lots of great tips and tools here! Thanks! @Laura: Unless a verse is in the public domain, it’s copyrighted to somebody, somewhere. Do your research and don’t assume that because a verse is old, it’s public domain. And if it’s not public domain, don’t use it.